Villa Market recognises that the world is changing so fast and that they need to be agile in order to adapt to their customer’s needs. 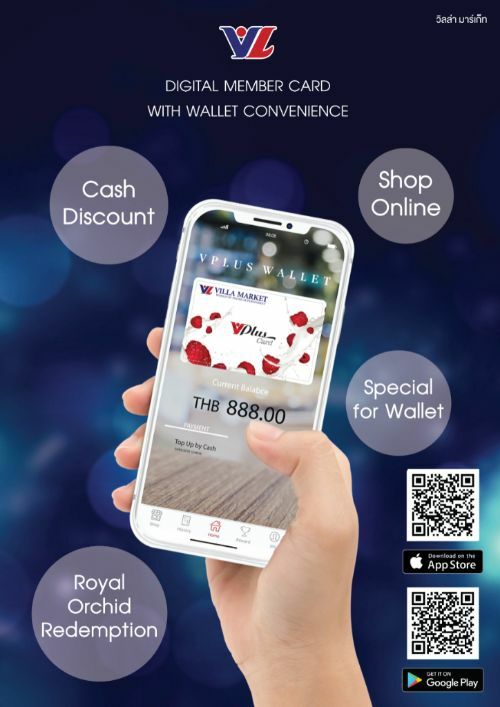 For a supermarket that has been operating in Thailand for more than 44 years, Villa Market really is quite progressive with several recent initiatives highlighting their focus on being responsible members of the community and making life easier for their customers. Villa Market believes that we all have a responsibility to support the environment as best we can in order to protect our future generations. By working together with their staff, suppliers and customers, Villa Market is taking steps to change what they do today. 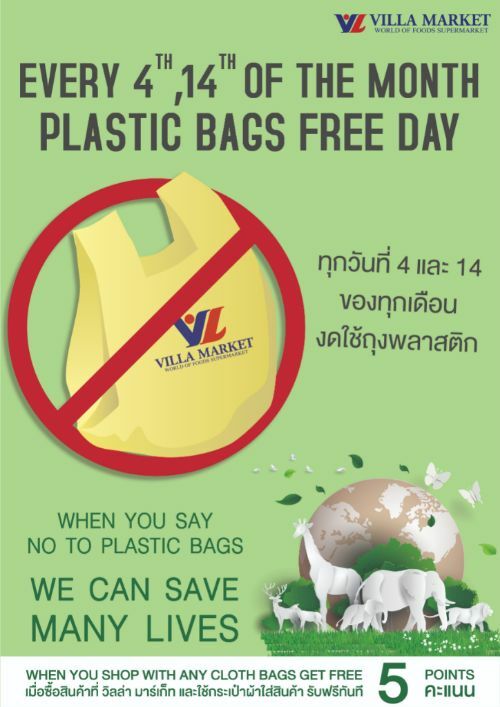 Like most supermarkets in Thailand, Villa Market agreed to participate in the Thai government’s “No Plastic Bag” day on the 4th day of every month. Realising that more needed to be done, Villa Market initially extended this to the 4th and the 14th day of each month and now tries to be plastic bag free every day. Villa Market recognises that customers still need the convenience that bags offer so they have recently introduced paper bags to supplement the different ways customers can choose to carry their groceries home: • Cardboard boxes (provided to customers free of charge) • Reusable cloth bags (different types available for a nominal fee in store) Paper bags will be available in all Villa Market stores for free on “No Plastic Bag” days and for a nominal charge on all other days. Villa Market also offers customers who choose not to take a plastic bag 5 extra Vplus points on top of their normal points. Villa Market is committed to doing all that they can to minimise their impact on the environment and reducing the use of plastic bags used in their stores is one of a number of initiatives they are undertaking. In order to support their customer’s busy lifestyles, Villa Market provides customers with more ways to shop – their Shop Online service is now available in the following areas: • Bangkok • Phuket • Hua Hin • Pattaya Villa Market Shop Online offers all of your Villa Market favourites delivered to your door with same day delivery available. Please note that delivery zones vary in each location so please enter your address at shoponline.villamarket.com to check service availability to your address. When you become a registered Villa Market Shop Online member you also get the following benefits: • Save your favourite items for faster ordering in the future • Save multiple delivery addresses in your address book Vplus members can also earn Vplus points by shopping online – simply add your Vplus member number to your profile and your Vplus points will be automatically be added to your account. Villa Market has built a reputation for having products available that are not available elsewhere. They continue to be the leaders and innovators when it comes to new products. Here’s some recent new product introductions: Daiya Foods is a range of products which are all dairy, soy or gluten free which makes them safe for vegans and people who have food allergy problems. They offer a range of cheese alternatives that taste and cook just like the real thing. 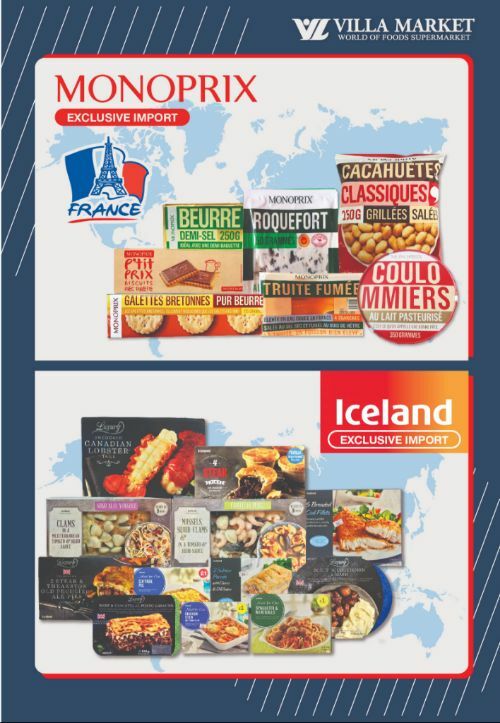 Villa Market’s Monoprix products are a range of very high quality, French products that represent extremely good value for money. 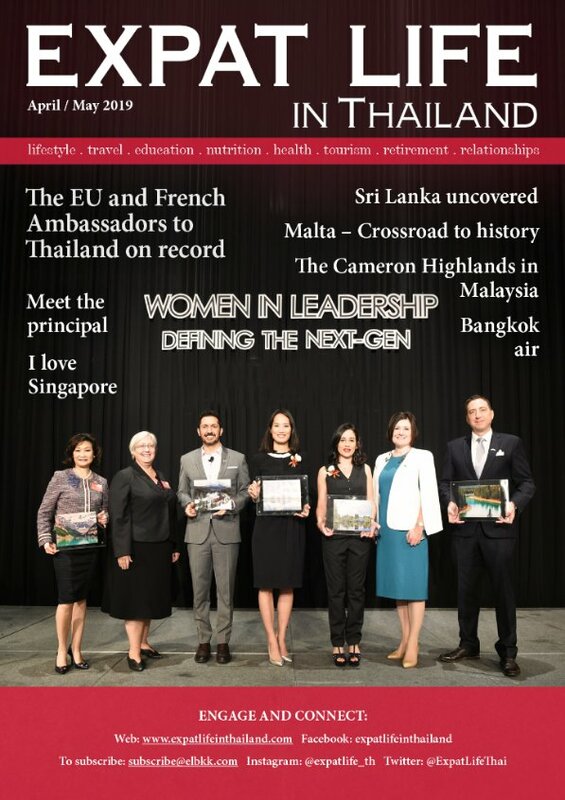 Expat Life in Thailand is a community lifestyle magazine for expatriates (a person who has citizenship in at least one country, but who is living in another country) living in Thailand with an appetite and a zest for the best of life! Leave your email and subscribe to our monthly email newsletters. Stay updated with the what’s happening within the expat community. DISCLAIMER: The views and opinions expressed in articles posted on this website are those of the authors and do not necessarily reflect the official policy or position of Expat Life in Thailand magazine. Links to other web sites do not imply an endorsement of the materials disseminated at those websites, nor does the existence of a link to another site imply that the organisation or person publishing at that site endorses any of the materials at this site.